We know how busy you are as a PR professional, which is exactly why we're asking you to take this quick survey asking you how you spend your typical day. 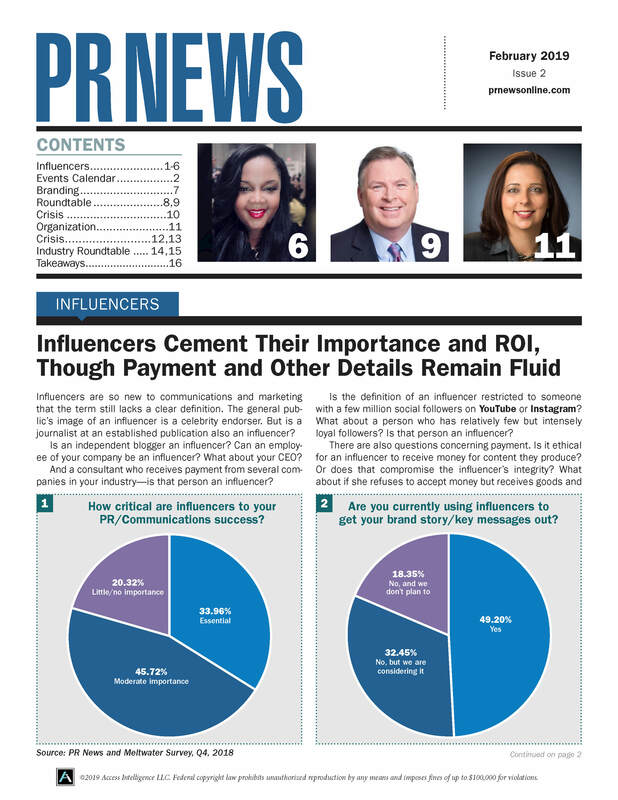 We want to make PR News, in all its aspects—our weekly PR News newsletter, Web site, professional conferences, webinars, guidebooks and awards programs—more relevant to your needs and time constraints. Please take a few moments to answer the following questions about how you spend your typical day and, most important, which issues about your work and career keep you up at night. Bonus for participating: As a respondent, you will receive a special sleep mask that will help you get the rest you deserve. You will also receive the full results of this survey so you can see how your day stacks up with your peers! Deadline to respond: Feb. 15.